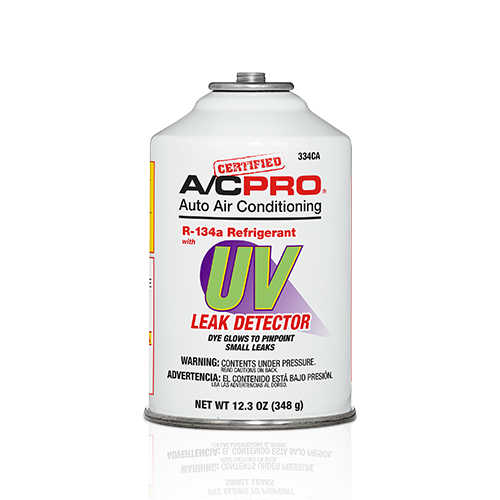 Always check for and repair leaks, and check system pressure with an A/C gauge (not included) before recharging. 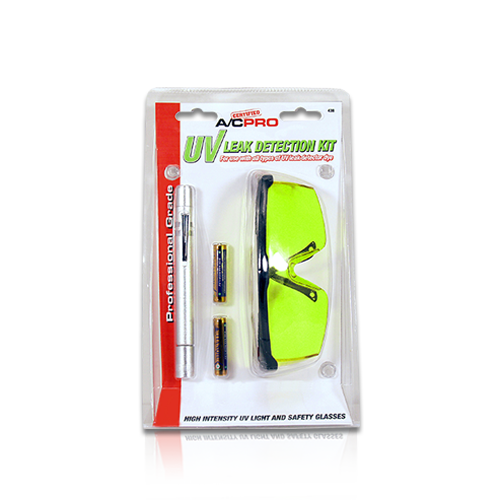 To locate leaks, use an ultraviolet light and goggles. Start engine and set A/C to maximum cooling and fan on highest setting. Following the instructions on the recharge hose, connect recharge hose to can and vehicle A/C low-side service port. Check system pressure before and frequently during recharge. While charging, hold can upright, rotating it between 12 o'clock and 3 o'clock every two to three seconds while continuously agitating (shaking) the can back and forth. 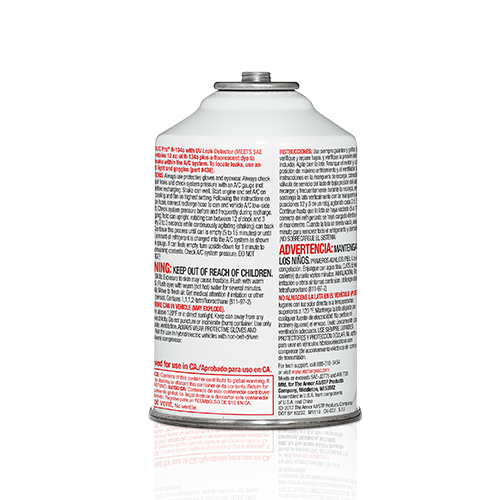 Continue this process until can is empty (five to 15 minutes) or the correct amount of refrigerant is charged into the A/C system as shown by the pressure gauge. If can feels empty, turn upside down for one minute to dispense remaining contents. Check A/C system pressure. DO NOT OVERCHARGE!